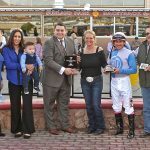 2017 Sunland Park Oaks runner-up Kell Paso returned to her favorite track and earned a smooth win in the $65,000 Bold Ego Handicap at five and one-half furlongs. Under a thoughtful ride from Aldo Arboleda, Kell Paso relaxed nicely into stride early just off a fast early pace. 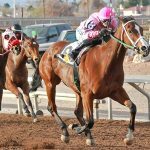 Rounding the far turn, the three-year-old Kentucky-bred daughter of Divine Park took over the lead while under a hand ride. She pressed forwardly eagerly when challenged by Diabolical Dame and held safe to win by one length. Kell Paso sped through the distaff feature in a rapid 1:02.22. She paid $13.20 as a 5-1 shot. The winner is trained by Danny Morales and owned by William Goode. 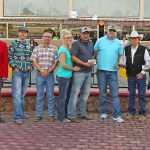 The winner’s share was worth $39,000. 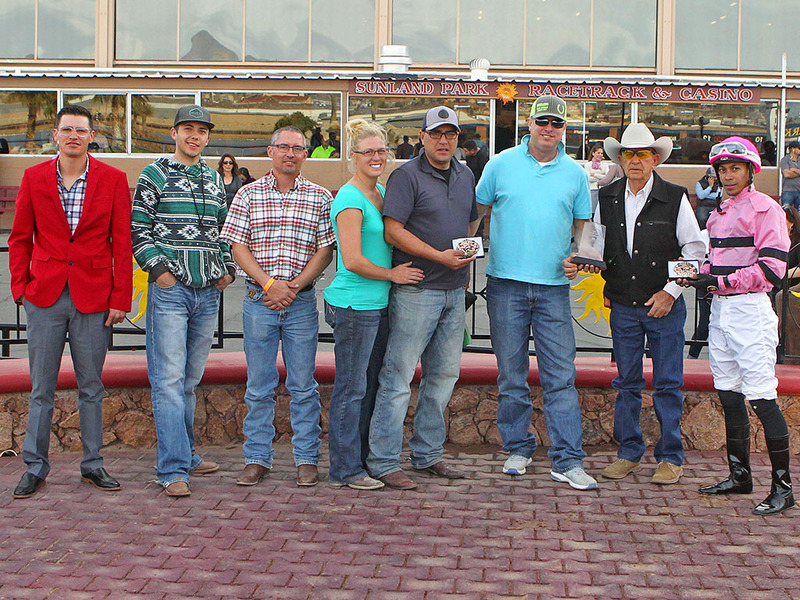 Kell Paso is a 4-time winner from 9 starts. 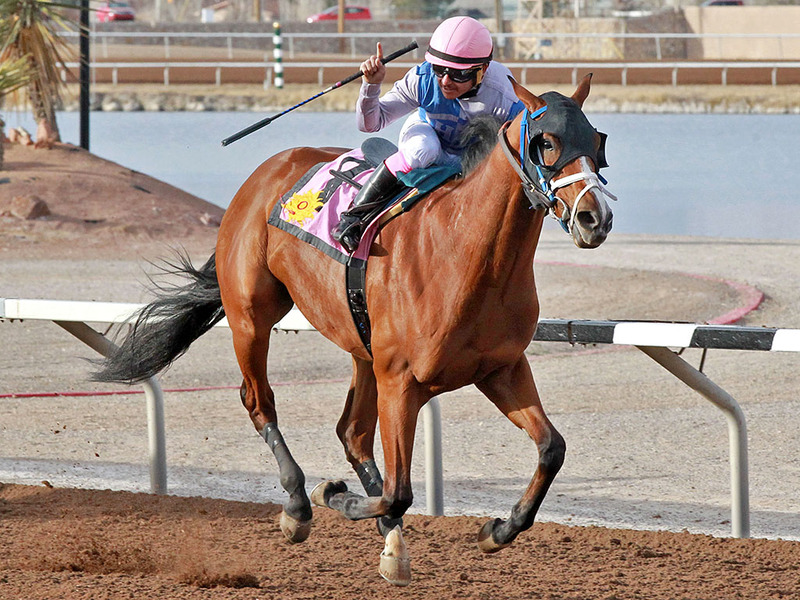 She finished second to Ghalia in last season’s $200,000 Sunland Park Oaks. Defending champion Diabolical Dame made an imposing stretch move but could not eclipse the winner. 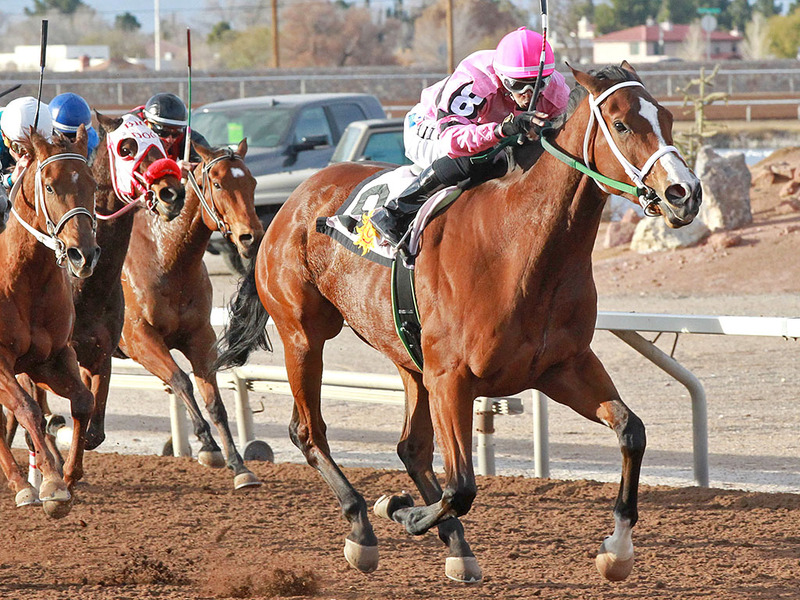 The classy New Mexico-bred multiple stakes winner had to settle for second place with Roimes Chirinos in the irons. 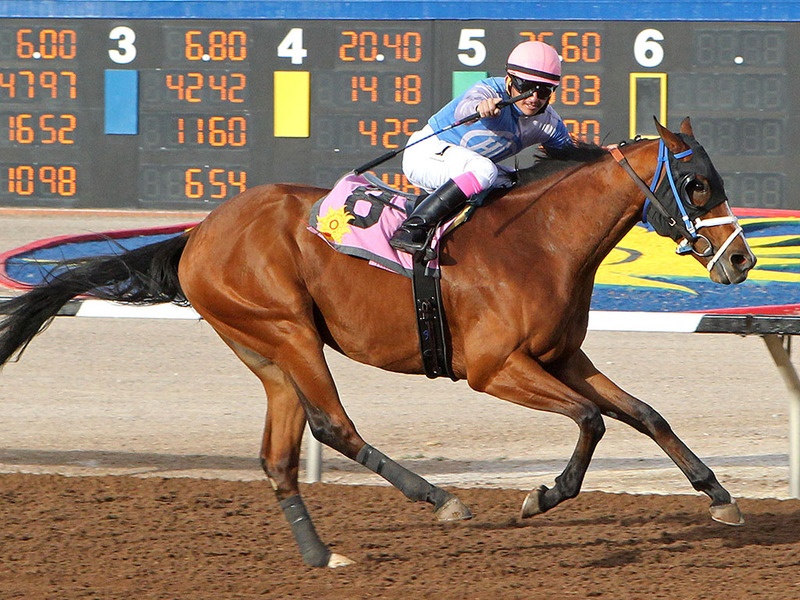 New Mexico State Racing Commission Handicap winner Tilla Cat flashed extreme speed early and finished third. Blazing Navarone uncorked a wicked stretch run to win the $85,000 Four Rivers/John Deere Stakes in impressive fashion. 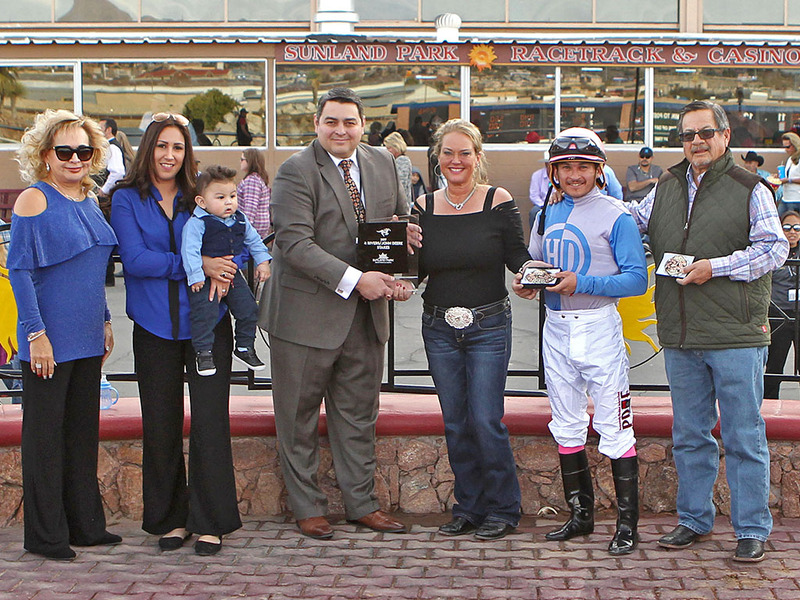 Jockey Enrique Portillo Gomez rode his third winner on the day for trainer Henry Dominguez. The two-year-old son of Song of Navarone was in peak form in the 6 furlong stakes. He responded eagerly with a wide run at the quarter pole and blasted past his rivals. The 7-1 shot won by an expanding 3 and 3/4 lengths and paid $17.60 to win. 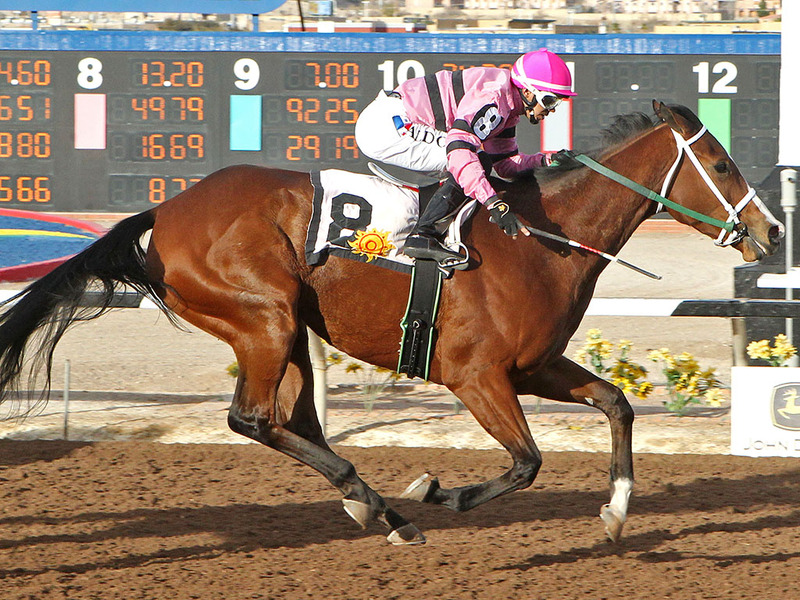 The newly crowned stakes winner caught the distance in 1:09.46. He earned $51,000 for owners George Coleman and Henry Dominguez. Blazing Navarone has 3 wins 2 seconds and 1 third from 7 starts and earnings topping $117,000. Del Mar Summer finished second for trainer Joel Marr. Golden Band was third. 2-1 favorite Hollywood Henry finished seventh. Live racing resumes on Tuesday at 12:30 p.m.